Our cleaning services are the best money can buy and are always in demand in London. The cleaning business is a huge industry and demand for cleaning services increases every day as more and more people find they simply don’t have the time to fit cleaning chores into their lifestyle, or simply have better things to do with their time! Glory Clean - Reliable, Prompt, Efficient and Affordable! Customer Satisfaction: Glory Clean provide qualified and trained cleaning specialists who are dedicated to providing excellent cleaning, exceptional customer service and complete customer satisfaction - first time every time! Security: All of our cleaners hold a current Police Record Check and £5 million Public Liability Insurance for your security, safety and peace of mind. Range of Services: Glory Clean are experienced and professional cleaners who service businesses, offices and residential properties, with services including: Carpet Cleaning, Upholstery Cleaning, End of Tenancy Cleaning, After Building Cleaning, One Off and Spring Cleaning and Domestic Cleaning. Attention to Detail: Nothing is too big or too small for us – we have the right specialists and the right equipment to clean everything from dirt and spills on floors and furniture to removing mould and mildew from the corners of shower enclosures. Convenience: Just give us a call or send us an email and we can arrange everything for you. You don’t need to provide a thing as we use our own specialised equipment and cleaning chemicals, and use eco friendly chemicals wherever possible. 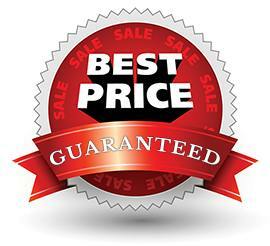 Value for Money: We provide reliable, prompt, efficient and affordable, quality cleaning services. Have a look at our website or give us a call to discover our very reasonable rates. You’ll wonder why you haven’t contacted us before!